Eakins met Helen Parker (1885–1975) when she was a young student at the School of Industrial Art in Philadelphia. She reportedly posed for Eakins about thirty-five times, two or three hours at a time, wearing this dress, which had belonged to her grandmother. 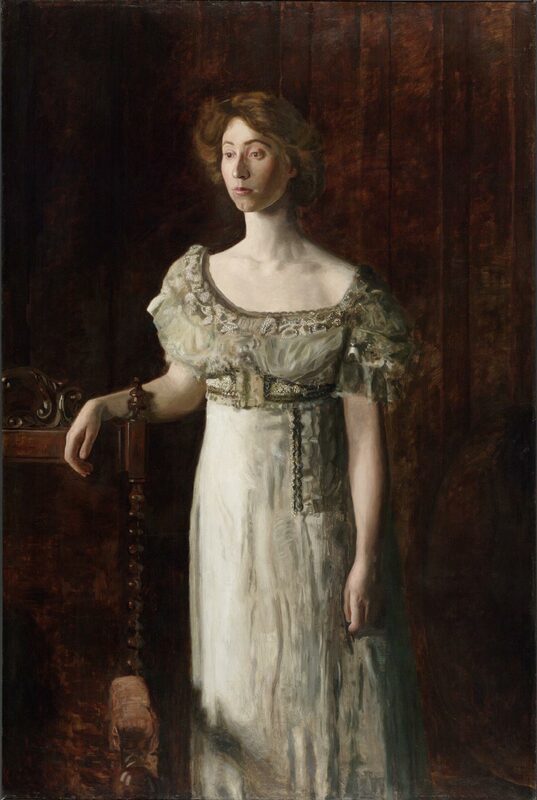 The model later recalled that Eakins was fascinated by her neck and the dress itself, and not so interested in her face. Parker, who referred to this as her "Ugly Duckling portrait," donated the gown to the Philadelphia Museum of Art in 1961.